The largest safe in Phoenix’s best-selling Titan range is ideal for an office and has enough space to fit lever arch files. Also available with Key or Fingerprint locking. Weight: 53Kg, Size: 515 x 400 x 440mm (HxWxD). £2,000 insurance rating, 60 minute fire rating. 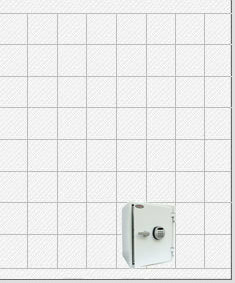 † Add 30mm to external depth for hinges and handle and keypad. Phoenix	The Phoenix Titan FS1283e fire resistant security safe is secured by a battery powered digital keypad and is tested to provide 60 minutes fire protection for documents to NT Fire - 017-60P and digital media to DIP120 - 60DMA. The Titan FS1283e is suitable for floor fixing and has a recommended insurance rating of £2,000 cash or £20,000 valuables. There are also 2 smaller sizes available in this range.